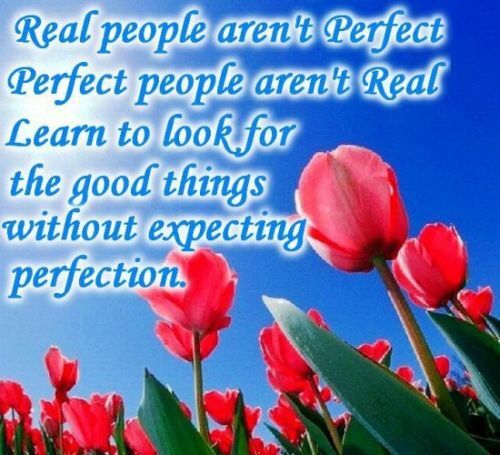 Real people aren’t perfect. Perfect people aren’t real. Learn to look for the good things without expecting perfection.